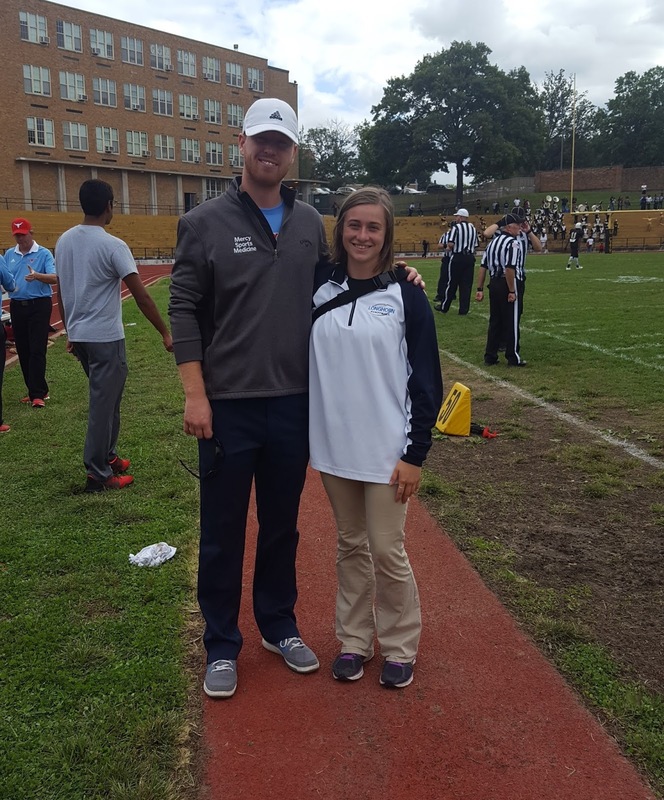 For my final year at SLU, I have the privilege of working with athletes at Parkway West High School under Matt Berning, ATC from Mercy Sports Medicine. With over 500 athletes for fall sports, Parkway West is constantly busy. 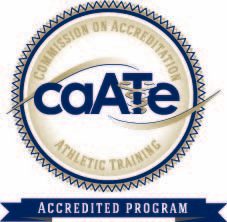 The athletic training room is constantly filled with athletes needing care. Typically we make the rounds each day after the initial after-school rush by visiting each team that is practicing or has a game. The variety of sports at West has allowed me opportunity to learn about sport-specific return to play for sports I have not previously worked with such as tennis, field hockey, and swimming. This semester we have had a wide variety of injuries and situations that have aided my professional development. It is a pleasure to work with the staff members and Matt each day. Matt and I have collaborated to work with several coaches on sport-specific prevention plans and with specific athletes. We have gotten to work closely with coaches and the athletic director, allowing me to see a new side to athletic training.